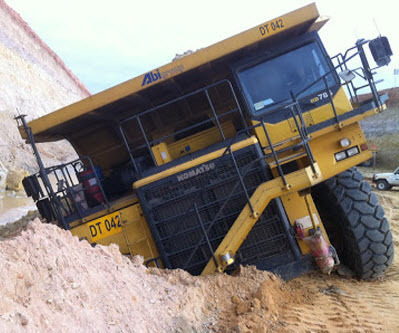 A new blog provides a superb collection of photos of mining equipment which is flattened, crashed or malfunctioning. The Mining Mayhem blog aspires to be the definitive online resource for photos in the genre, which according to its founder usually only circulate in emails shared amongst members of the industry. The blog has been going strong since 2008, publishing around one new photo per week during its four year run. The site also welcomes contributions from its casual visitors.